Drums, horns and clackers woke us at 6 a.m. to get ready for Good Friday. Very dismal sounds. 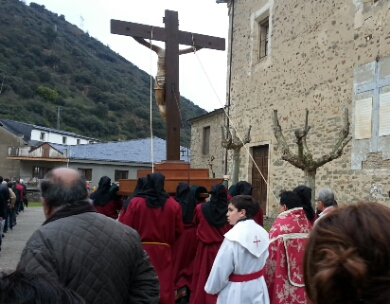 On the street before 9 a.m. the penitents assembled. Resuming our own pilgrimage, we eventually left the town behind andreached one of my favourite stretches of the Camino. 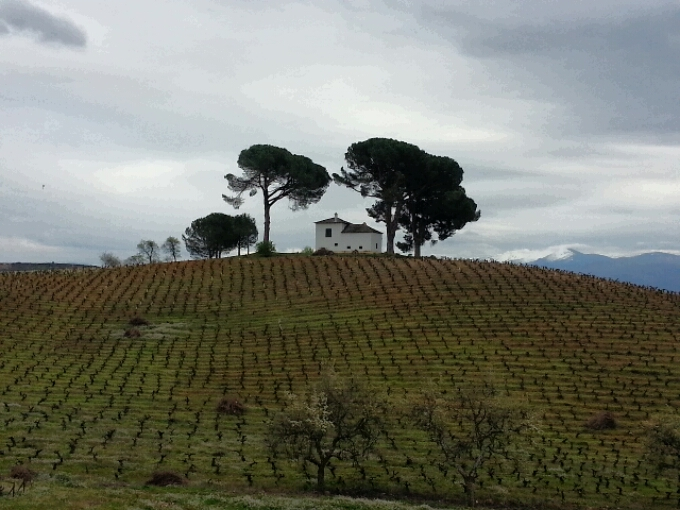 Spring has barely started so the vineyards still look dormant. In Villafranca del Bierzo just before 7 pm, we caught the start of another procession. March 26, 2016 in Camino 2016, Camino de Santiago. Thanks. I was pleased with that one because it captured the mood so well. Those are amazing photos from Good Friday – as said, very haunting. And love the walk to Villafranca as well, and especially heading out on the Praedela route. Looking forward to tomorrow’s photos. I love the photos of the procession. 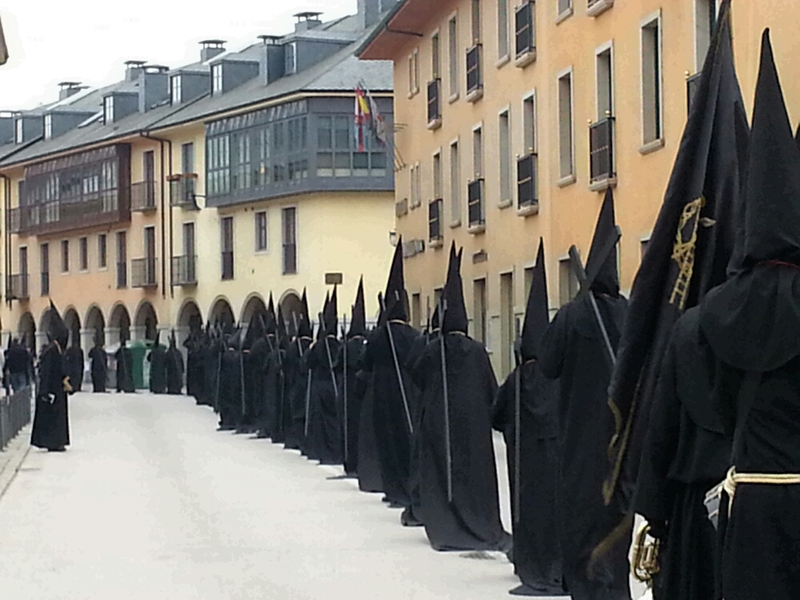 Some day I’ll walk a Camino during Semana Santa! 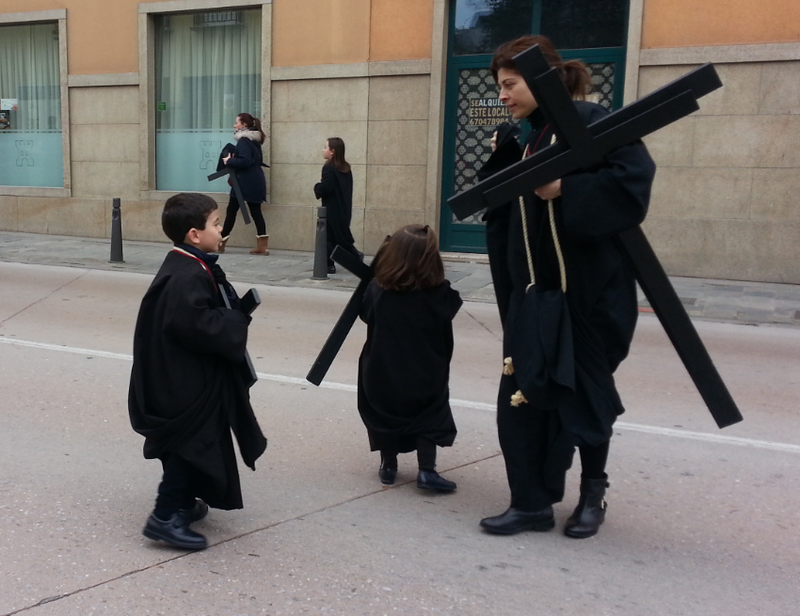 Semana Santa is a BIG event in Spain! Indeed! 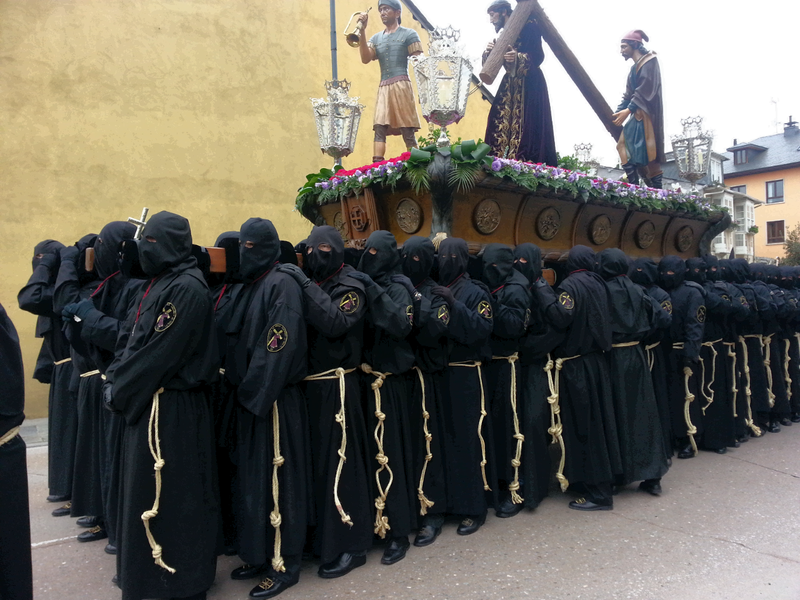 I watched the processions in Leon. The Plaza Mayor was full watching the Pasos go by.